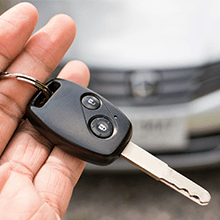 From Simple Key Duplicating & Lockout Services To High Security Commercial And Automotive Locksmith We Offer Wide Variety Of Locksmith Services To Our Customers In Portland Metro & Vancouver, WA! Re-keys and replacement of locks and much more! D&L Garage Doors & Locksmith Division has your Car, RV, Motorcycle key solution! 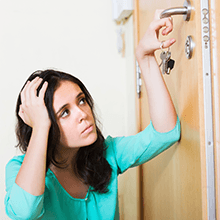 We offer mobile locksmith services and go to you for lock-outs or come into our store at 6701 SE Foster Road suite ‘D’. In stock selection of keys for older cars or newer cars and remotes too! We can help you with that broken or lost key with replacement, extraction services or re-programming. We can even get parts for your RV and ATV lock and latch needs. We have the latest equipment to cut and program your key, fob or remote key. Our licensed and bonded experts can help. Call today! 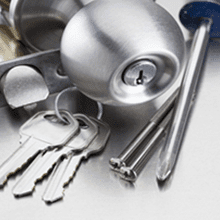 Our Portland Locksmiths are trained to work on the latest, high tech doors and locks. For installation of new equipment or resolving problems with existing doors, we can help. 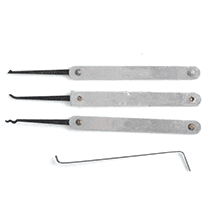 Lever locks, door closers, concealed hinges, panic bars, electrical and mechanical locks. High tech digital and WIFI door locks and keypad locks. Our experts can also pick locks if needed. Last but not least, we can help you get safes open too! For your convenience, we offer key duplication services in our brick and mortar locksmith shop located in SE Portland. We can duplicate house keys and car keys as well as the programming of car keys. Laser cut keys, regular car keys and house and business lock keys. 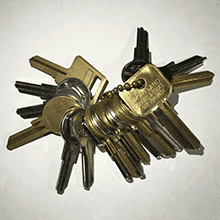 We carry a large selection of high security and DO NOT DUPLICATE keys to meet your needs. And if we don’t have it, in most cases we can get them next business day. We are your KEY solution! Doors and Locks also offers emergency response services for those unexpected lock needs. Mobile, licensed and bonded experts who can come to you! We can help you unlock your bicycle locks, house or office door, car door or trunk, SEMI trucks,vending machine, We even unlocked private jets before! If its got a locks on it we can open it! And do it better for less!